The Exigo Seated/Standing Shrug belongs to our market leading plate loaded range. 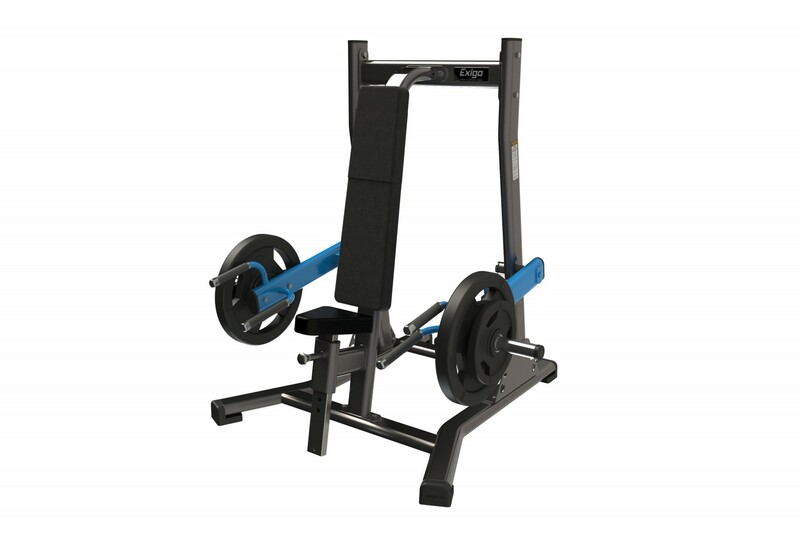 This piece of commercial gym equipment has a unique design that allows users to perform either the seated or standing shrug exercise. This machine features an adjustable seat and appropriately placed handles to provide better alignment of the Trapezius muscles. Boasting a durable high quality epoxy powder coated finish, hard-wearing upholstery and a robust frame. Engineered using premium components to produce an exceptional heavy-duty machine. The Exigo Seated/Standing Shrug is built to withstand the conditions of a busy gym environment. Proudly designed and manufactured in our very own UK factory with a mainframe lifetime guarantee. Part of our market leading plate loaded range A unique design that allows users to perform either the seated or standing shrug exercise Features an adjustable seat and appropriately placed handles to provide better alignment of the Trapezius muscles High quality epoxy powder coated finish Hard-wearing upholstery and robust frame Engineered using premium components to produce an exceptional heavy-duty machine Built to withstand the conditions of a busy gym environment Proudly designed and manufactured in our very own UK factory Mainframe lifetime guarantee.